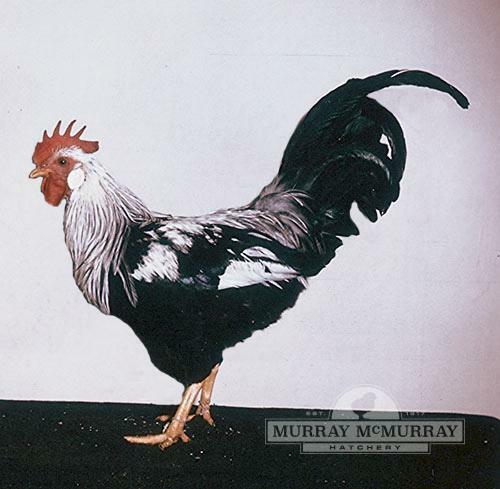 The Silver Leghorn is a rare and beautiful variety. 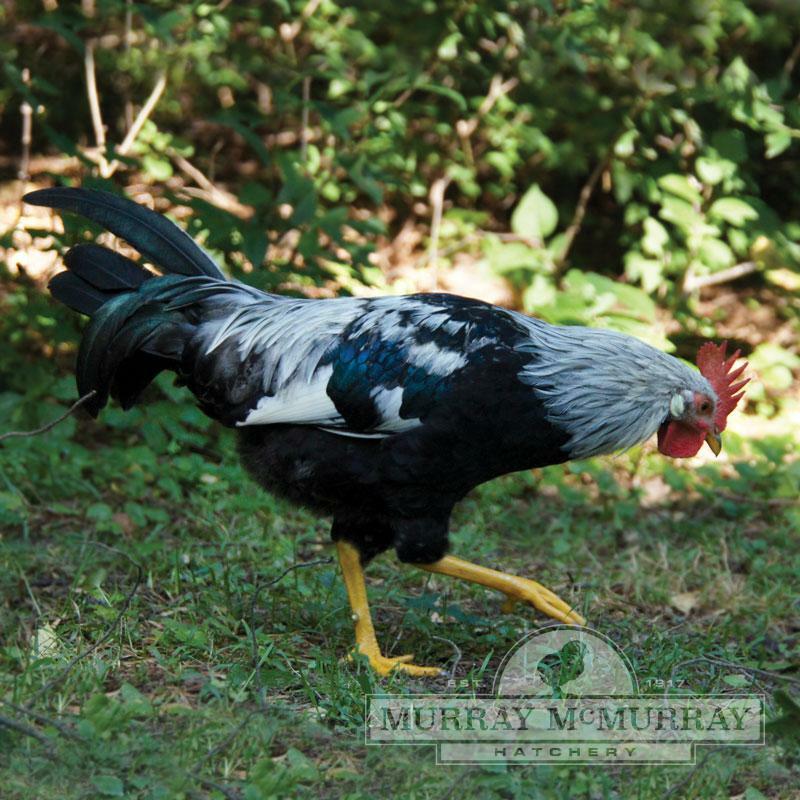 Our strain is very carefully selected for correct color and type if you're looking for a Heritage Breed. Males are silvery white and lustrous greenish black. Females have a salmon colored breast and silver-gray neck, back and wings. 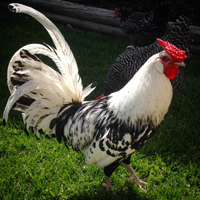 Silver Leghorn hens make good white egg layers and the breed is very vigorous, quick and alert. 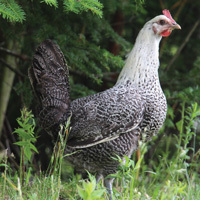 Baby chicks are striped like Brown Leghorns, but with lighter brown stripes and a more grayish color overall. 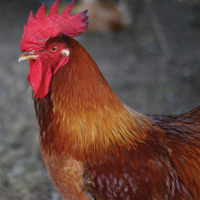 under rated!These are great little hens, and so beautiful. 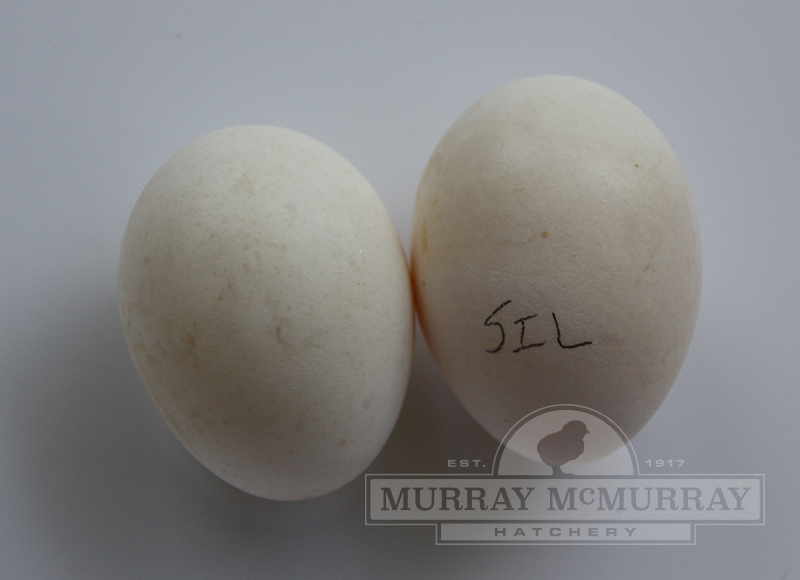 Great livability and very productive of medium tinted eggs well into early winter of their second year (18 months+/-). At first a little flighty, but with lots of TLC the kids could carry them around too by the time they were 8 months old. Beautiful silver color and much hardier than the Dorking (Silver Gray) that I've had in the past for the similar color. 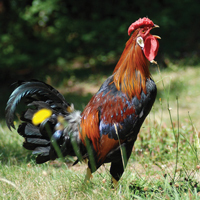 SkittishI got 5 of these guys this year, they were all supposed to be pullets but I got 3 roosters! 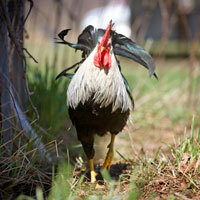 They are a decent breed, they are kinda skittish though and don't like being handled as much as the other breeds do. They are decent at free ranging too but not the best.